Millions of Americans lose their vision each year to preventable diseases, with cases of blindness and visual impairment expected to double in the United States by 2050 if current trends continue. For people with diabetes, conditions like diabetic retinopathy (damage to the light-sensitive retina at the back of the eye) and macular edema (swelling of the central part of the retina) can put vision at risk. To help raise awareness and reduce instances of preventable blindness, pharmaceutical company Allergan and eye health and safety organization Prevent Blindness have teamed up to launch the “See America” initiative. 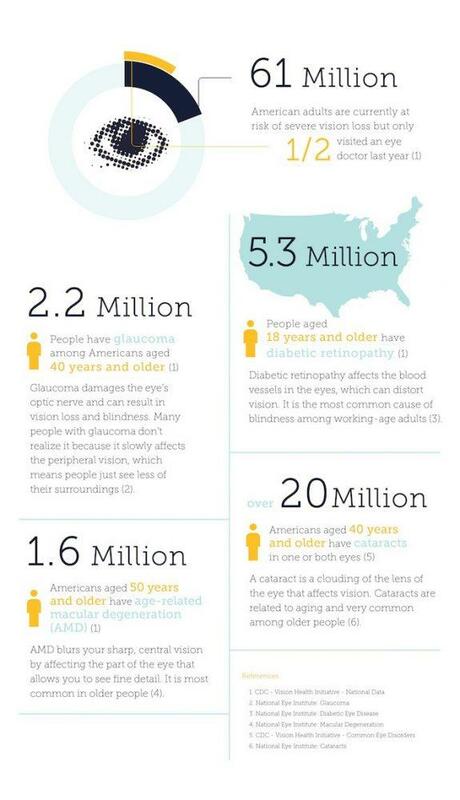 The initiative aims to increase awareness of the conditions that can cause blindness, make healthy vision a priority for all Americans, and increase access to vision care. As part of the campaign, Allergan will sponsor vision-screening events in various cities, providing participants with one-on-one professional eye exams, follow-up treatment plans, and education about common eye conditions. To learn more about the initiative, visit www.SeeAmerica.vision. Credit: See America via http://www.SeeAmerica.vision.